I was so fed up of the kitchen looking like an animal doss house that I ordered two Fatboy modern dog beds from Design Public. If you clicked the link you will have seen the extremely cute black lab lounging on his red Fatboy bed. Maybe my dogs didn't like the colours I chose (lime green and brown), although dogs are colour-blind aren't they? Maybe I didn't adjust the stuffing enough for their comfort. But they have flat-out refused to have anything to do with them. I have resorted to putting blankets on top of the beds to entice them, which sort of defeats the purpose but nothing works. Here is a nice photo showing the dent that Sadie made when she stepped over the dog bed on her way to find a better place to sprawl out and here is Polly ignoring her bed. Steven suggests I give in and give them their old duvets back but I'm persevering for a while. I want a sleek, modern kitchen with sleek, modern dog beds and I'm not prepared to give up yet. Oh I feel your pain. First it was because of dogs (Shayna, who now lives elsewhere, and Buster, of blessed memory) who found all bedding highly tasty, and were very clear in their assertion that as long as it was THEIR brand new $50-$100+ bed they were destroying and not MINE, then I needed to just shut up - so WHAT if they preferred the stuffing outside instead of inside of their lovely expensive [destroyed] beds!! Now we just have Stinky-one (aka Murphy the stinkpot pug) and Stinky-two (aka old man Max, who is occasionally incontinent), who both require bedding that can be tossed frequently into the frontloader with hot water and a lot of oxyclean. So I'm stuck with ratty old blankets for my critters as well. We look at nice beds, think of how much nicer our place would look if we had them... then swap out the ratty blankets yet again. 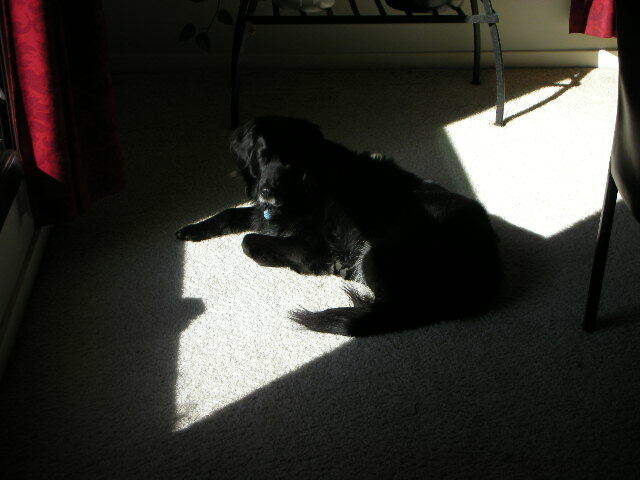 Yes, the oldest of our dogs- Shadow_ refuses to lay on anything but the hard floor. Even though she's 10 and arthritic... We tried giving her all kinds of cushy things when she started showing signs of hip pain, but somehow, old doggie habits die hard. Hannah, on the other hand, sleeps in her bed like a queen bee! If Shadow would have only told us- "No thank you- I prefer the floor!" Rule of thumb: cats don't like cat beds. They like dog beds. Dogs don't like dogs beds. They like your bed. You have a nice blog here! I will be saving this page to my favorites for sure. 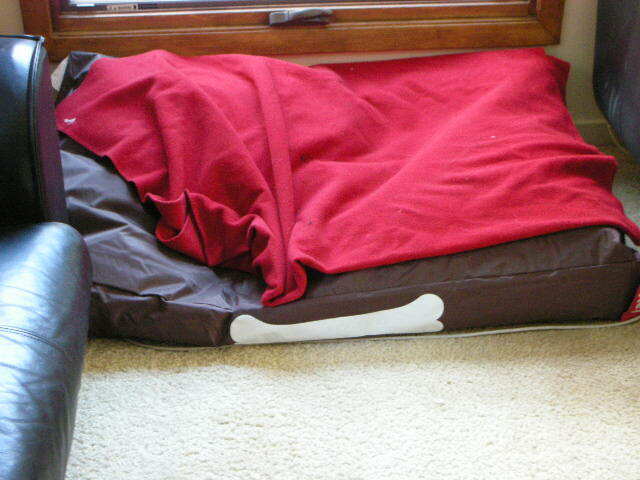 I just visited a site with great articles and products on dog beds ! If nothing else it’s a great read. Check it out if you have time. Thanks.